Enjoy living in a beautiful 28-Loft Building located at the entrance of Boston's North End. 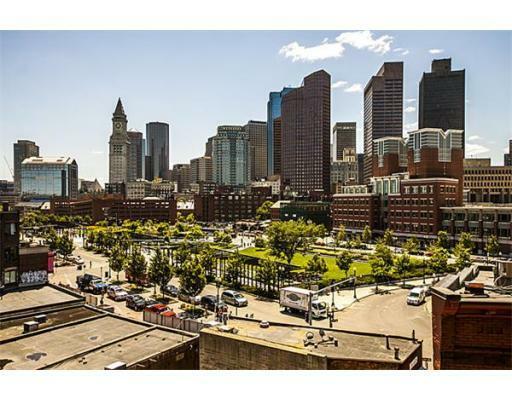 Breathtaking views of Downtown Boston and the Rose Kennedy Greenway. Within walking distance to everything city has to offer: fabulous restaurants, Boston's Waterfront, Financial District, Government Center, historic Beacon Hill and TD Garden. Easy access to the MBTA. All unit feature tall ceilings, exposed brick, high end kitchens and over sized windows. There is elevator service at 26 Stillman Street Lofts, common roof deck area and parking included with some of the units, as well as on-street resident permit parking. Reach out to us if you have questions about one of the Boston lofts listed below or to schedule a tour. You can also sign up for an account to start saving your favorite listings.